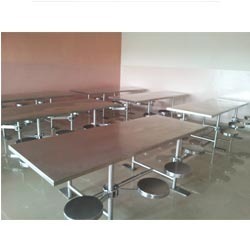 Offering you a complete choice of products which include bain marie counter, round table, folding dinning table, ss dining table 8 seater and ss four seater dining table. We are recommended amongst the clients for offering a quality range of Bain Marie Counter. 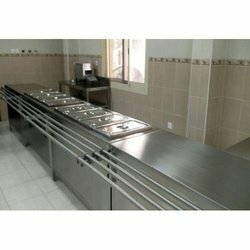 The Bain Marie Counter we offer is widely demanded amongst the clients for its sturdiness and durability. These products are easy to clean. Backed by the team of skilled professionals, we are offering a quality range of Round Table. 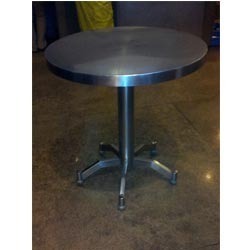 The Round Table we offer is widely demanded for its sturdiness and reliability. Offered products are known for their reliability. 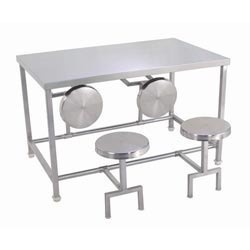 Our clients can avail from us a quality range of Folding Dinning Table. 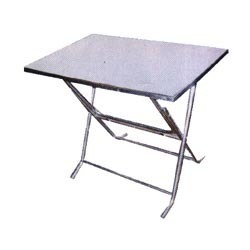 The Folding Dinning Table we offer is known for its sturdiness and quality. Our products are tested for their quality before being introduced in the market. Looking for Dining Category ?